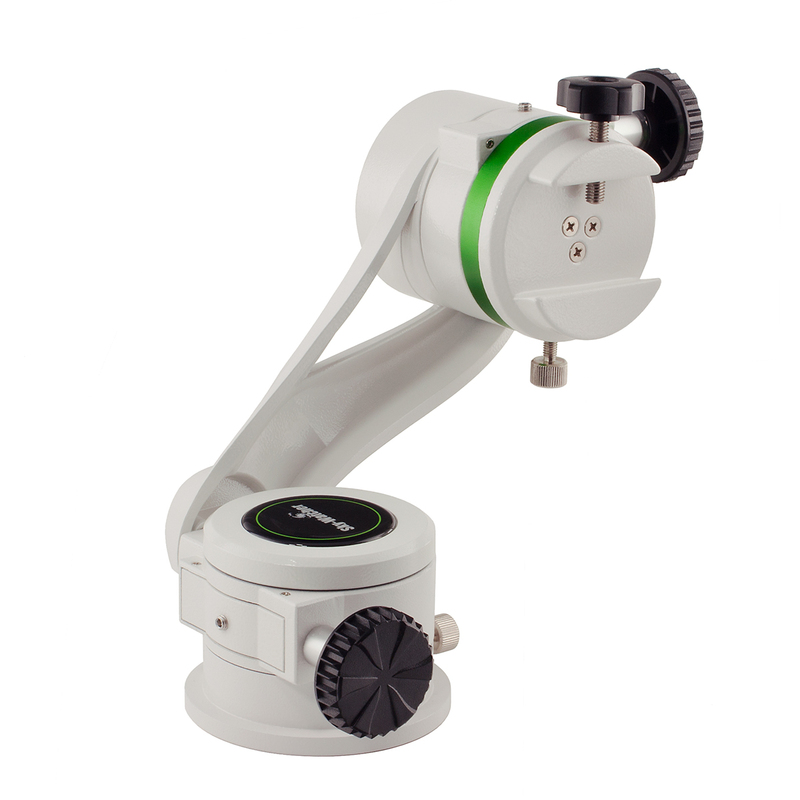 Sky-Watcher AZ5 is an easy to use, grab-and-go telescope mount for visual astronomy and daytime terrestrial observations. Constructed from cast aluminium and designed to attach small telescopes up to 5kg in weight, via a regular 45mm dovetail bar. The aluminium telescopic tripod legs can be extended and clamped in any position via integral leg locks. Supplied with two flexible slow-motion cables, one for vertical and one for horizontal, for smooth precise control. 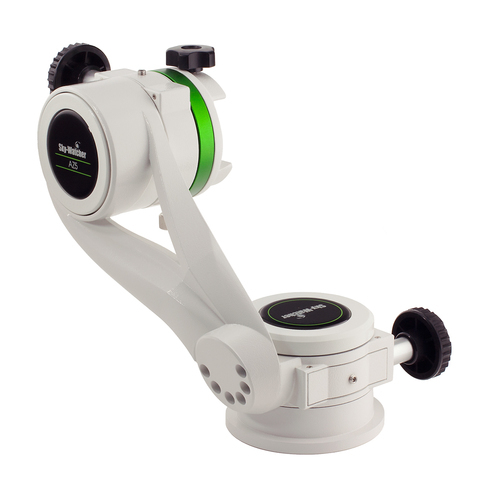 Can also be moved manually around each axis for rapid panning and elevation adjustments.